Each April, during National Park Week, the National Park Foundation, the official charity of America's national parks, celebrates America's treasures. Time to start planning for National Park Week, April 20-28, 2019. It is the perfect opportunity for a spring family outing to one of the National Parks and Monuments and take advantage of a *free entrance day on Saturday, April 20. The National Park Service invites everyone "to discover American history in all its diversity, from the homes of poets and Presidents to ancient archeological places (such as New Mexico's Bandelier National Monument pictured) to the sobering stories of Civil War soldiers and civilians to the legacy of a courageous woman who refused to give up her seat on a bus. Our history is part of who we were, who we are, and who we will be," according to the NPS web site. America’s “national parks, wildlife refuges, forests and other public lands offer every citizen a place to get outdoors, learn about our nation’s history and culture, and restore our spirits.” By providing free admission, all Americans can visit and enjoy these extraordinary treasures that belong to all of us. 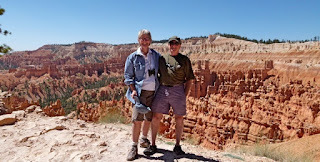 •Friday, Aug. 25, National Park Service birthday. • National Public Lands Day on Saturday, Sept. 28. • Veterans Day, Nov. 11. The fee-free days provide a great opportunity to visit "a new place or an old favorite," especially one of the national parks that normally charge an entrance fee. Start Planning Your Visit. While you and your family are visiting a national park or monument, think about picking up one of six available passes. "A pass is your ticket to more than 2,000 federal recreation sites. Each pass covers entrance fees at national parks and national wildlife refuges as well as standard amenity fees (day use fees) at national forests and grasslands, and at lands managed by the Bureau of Land Management, Bureau of Reclamation and U.S. Army Corps of Engineers," according to park officials. Find the nearest national park to you by clicking here. 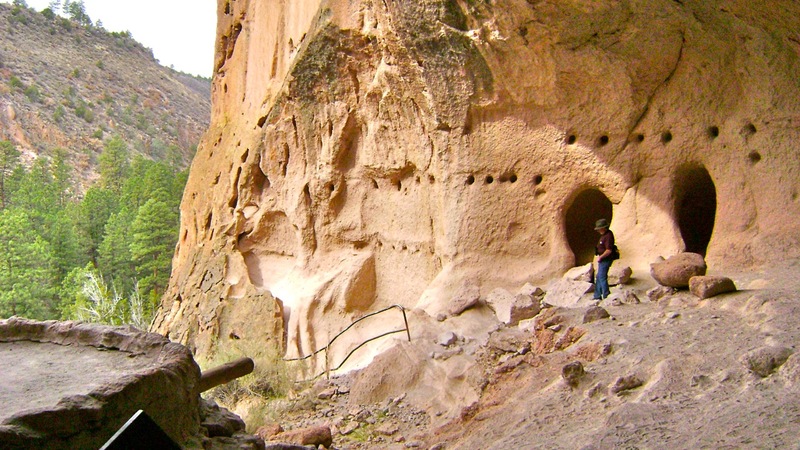 Photos: Top: RVer Jimmy Smith explores a series of dwellings carved into the rock cliffs of Bandelier National Monument in New Mexico. For information on camping, click here. (Julianne G. Crane). 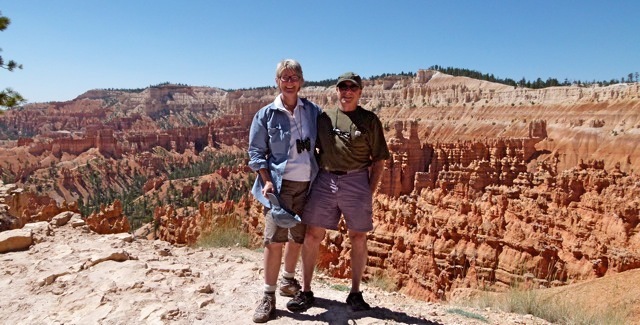 Bottom: RVers Julianne G. Crane and Jimmy Smith near Sunset Point in Bryce Canyon National Park in Utah. Click here for camping information. (Marcel Robicheaux).